We are huge advocates for using conversion funnels to move potential buyers through the necessary steps needed to convert them into a buyer or better yet, a repeat buyer. At the end of this conversion funnel we see revenue, so understanding how to measure and properly execute these steps is essential to generating more revenue. In fact, improving the flow of the funnel so that higher numbers of leads are moving from step to step is not only easier but it can often drive more revenue then just increasing traffic. By measuring the effectiveness of each step of the funnel we can work out the bottlenecks and eliminate unnecessary steps to increase the flow of traffic. And in today's post we're going to share a few specific reasons how conversion funnels can drive more revenue for your business. Lead generation is what brings potential buyers into the funnel in the first place. This is where a prospective buyer can research your business, learn more about what you offer and determine if you can offer a solution to their pain. In today’s marketing world almost all of this research is done on the internet. Prospects are looking at your Facebook page, checking out your LinkedIn profile or following you on Twitter. At this stage it’s important to make sure you have a positive, active social presence. Engage with visitors, capture their attention by sharing relevant content, share links to your website or blog to direct traffic and establish your self as an accredited problem solver. Conversations build relationships and through relationships we gain trust. Think of these networks as a database of prospective leads and utilize them to start a conversation, which should move them to the next step in the conversion funnel. Lead nurturing is the key to lead conversion. You should always be creating content worth finding, but now that you know a little more about what your leads are looking for you can start targeting particular marketing information to those potential buyers. Optimize your landing pages and call-to-actions to increase revenue. Keep the design simple, making it easy to navigate and except your offer. Content is the foundation of inbound marketing techniques, so make sure yours is compelling and encourages sharing. Keep in mind your website is often your first impression, and where leads are converted. If you are focused on creating new, slick looking landing pages, newsletters or call-to-actions make sure your website shares the same fresh look. The same applies to your blog. Make sure the content your posting is quality and SEO optimized so anyone can stumble across it in a related search. Develop trust by creating helpful content and posting often. 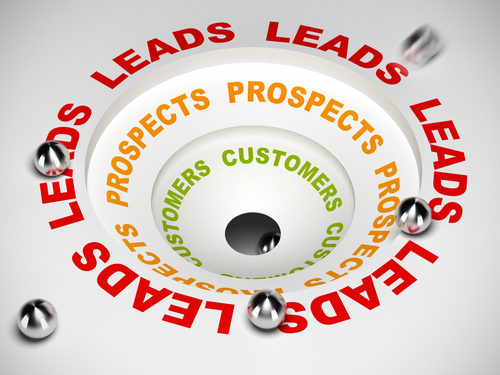 During the lead nurturing process you can also score your leads. Lead scoring helps marketing and sales understand where each lead is at in the buying process. A cold lead may need some more nurturing before they are passed along to sales, while a hot lead is ready to buy and should be passed on immediately! And if your conversation rates start to drop this means there’s a problem in the conversion funnel. This will affect your revenue so address any issues immediately. So you’re inbound marketing techniques have been successful and your lead has turned into a sale. That’s fantastic! But before you move onto the next lead and forget all about this new buyer, remember that repeat buyers actually have a higher sales rate then a new buyer. Don’t let them turn cold. Continue to nurture them through targeted email marketing, take advantage of thank you pages to offer them something else they might be interested in or stay in touch by getting feedback. Checking in is a great way to ensure that your buyer is satisfied with what they received. Happy customers are the key to social media marketing, repeat sales and referrals. Testimonials are a great way to gain trust from potential leads and who knows, maybe they know someone, in a market you may never have thought of, that could use your product or service. If they aren’t happy with their purchase, use this as an opportunity to be a hands-on problem solver. Often someone who had a negative experience that was addressed and handled effectively is one of your best advocates. Any changes you make to the conversion funnel can be tracked. You will see the big picture reflected directly in the revenue but you can examine it in greater detail to see what aspects of your inbound marketing is working and what isn’t. Run A/B tests to test new changes and stick with what is working.